SAY HELLO TO YOUR NEW FAVORITE BACKPACK! 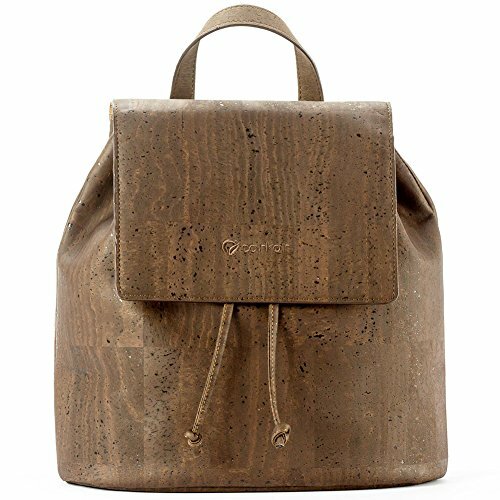 Enter our fabulous, elegant and super handy back pack made of real cork! Take your essentials with you and get ready for some heads to turn when they see this special, unique accessory! A COMPLETELY GUILT-FREE, YET FASHIONABLE CHOICE! Who doesn't want to be trendy and stylish - but why should we do it in a way that our environment and the animals in it suffer? Thanks to our cork handbags, you can now have both, since they are 100% vegan, eco-friendly, and Peta approved as well! If you have any questions about this product by Corkor, contact us by completing and submitting the form below. If you are looking for a specif part number, please include it with your message.